Check out the latest range of New Products available at Charles Wilson. Relieve the symptoms of hay fever and allergies with a one-a-day tablet. Pirinase Hayfever Nasal Spray is a non-drowsy treatment to treat the symptoms of hayfever and other airborne allergies. This spray can help to relieve allergy symptoms for up to 24 hours to prevent the symptoms during the day. Piriton Syrup provides fast relief from symptoms of hayfever, skin allergies, food allergies, pet allergies, or nasal allergies. It can also be used to provide itch relief for chickenpox. This syrup can be used for children over 1 year. Don't let hay fever stop you getting outdoors. This nasal spray fights the symptom of hay fever and allergies. Fast relief from allergies and hay fever, in a banana flavoured syrup. One A Day tablets to relieve the symptoms of hay fever and other allergies. Special offer time! This Easter in amongst all the chocolate we're giving you another treat. From today until the 22nd of April you can get up to 20% off all of our Alex and Ani products. There's a huge range of amazing products. Bangles to bracelets, earrings and charms. We even have a large range of Harry Potter themed jewellery if you're looking for that perfect quirky gift. Browse the whole range now and get planning how you're going to take advantage of this great offer! adidas Originals premium lifestyle shoe continues it progression in this ultra-minimal sleek design with a snug Primeknit upper that wraps the foot in adaptive support and iconic Boost mid-sole for responsive cushioning. Levi's chemise à carreaux et manches longues en style western inspirée par la culture Américaine. Cette Chemise à coupe classique comporte des détails occidentaux originales. Les baskets basses Onitsuka Tiger s'inspirant des chaussures de tennis des années 80. Idéal pour la vie quotidienne. Under Armour chaussures de course à empeigne tissée jacquard pour un maintien léger et un ajustement parfait. Lacoste baskets en toile basses à lacets. New Balance baskets basses avec esthétique de sport heritage. Empeigne en daim et semelle intermédiaire amortie. Empeigne en cuir et synthétique. Doublure textile. Levi's langarmes Western-Karohemd inspiriert von amerikanischer Kultur. Dieses Hemd in klassischer Passform bietet originale Western/Verzierungen. Die flachen adidas Originals-Sneakers aus Wildleder sind mit einer strukturierten Spitze versehen. Das von Stan Smith entwickelte Design ist seit Jahrzehnten ein fester Bestandteil der Straße. Reebok Low-Profile-Trainer sind eine Mischung aus Tradition und Moderne. Eine klassische Silhouette mit der Flexweave-Technologie. Puma low-Profil Sneaakers entwickelt ausschließlich für Damen und geben eine weibliche Silhouette. adidas Originals Sneakers mit sockenähnlichem Obermaterial aus Stretchstrick und Stickerei Details. Ein Alltags-Style kopiert von Heritage Laufsport Designs mit einem modernes Aussehen. Lacoste low-Profil Leinenschuhe zum schnüren. 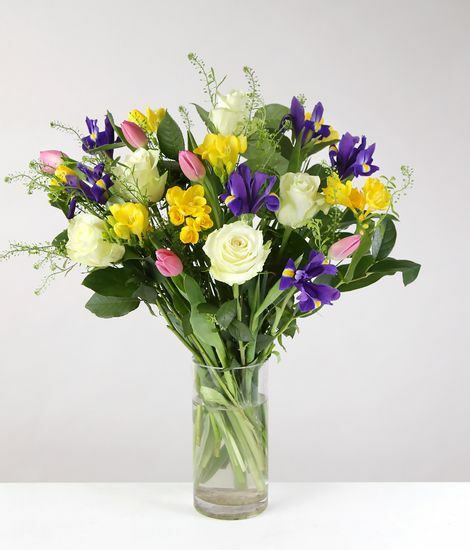 Fragrant yellow freesia, blue iris and pink tulips pair beautifully with white roses to create cheerful Easter display. This bouquet is made up of some of our absolute seasonal favourites. Send these Easter flowers to show a loved one that you are thinking of them or order them for your own home. Celebrate the return of sunshine, daylight and budding flowers with a picnic in the park, a camping trip or a garden party and keep kids entertained with a fantastic bundle of 12 STEAM magazines. This toucanBox 12 magazine bundle is the perfect gift, treat or top up to your craft activities. These fun back-issues include interesting facts, games, puzzles, colouring sheets, recipes and craft instructions (craft materials are NOT included in the magazine bundle but easy to source). Now discounted to just £29.95 from £47.40, grab this featured product before it’s gone! This Easter, the more you spend, the more you can save at High Street TV! You can get incredible savings on a range of cosmetics, kitchen products, fitness products and much more! There are also a range of items in the clearance section, that you will be able to get an additional saving on with these codes! Don't miss out, these codes are only available from 18th April 2019 until 22nd April 2019. *Cannot be used with any other discount code. Spend threshold excludes delivery charged. Expires 22nd April 2019. How many times have you wanted to redecorate but been put off by having to cover all your furniture and carpets? 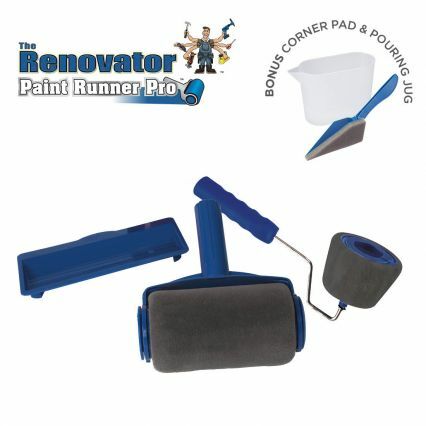 There’s no need with the Paint Runner Pro! 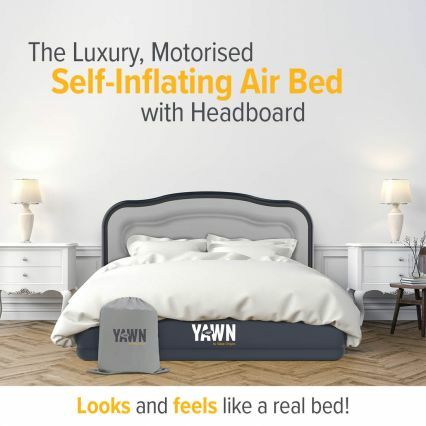 Your friends and family don’t need to put up with cushions on the floor or your old pull out sofa bed anymore with the YAWN Air Bed by Sleep Origins. 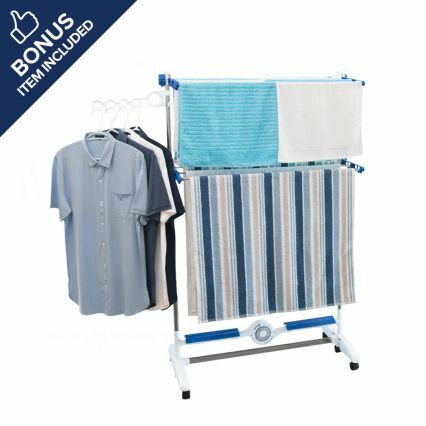 NuBreeze is the New Age Drying System that dries all your clothes up to 50% faster than drip drying alone! 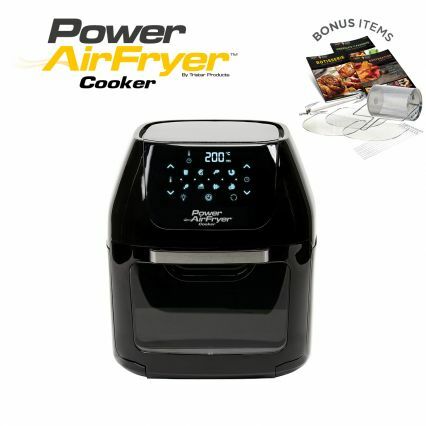 The Power Air Fryer Cooker is a 3-in-1 multi-functional cooker that gives you all of the crisp, juicy, delicious, healthier benefits of oil-free air frying. Keep your boiled water hot for up to 4 hours with stainless steel, double wall, vacuum insulated Heat Lock Technology! 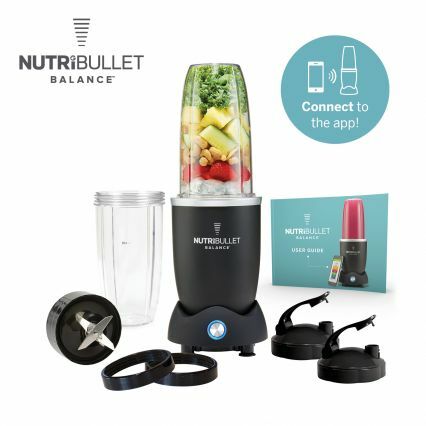 Five years on from the start of the UK phenomenon, 26 million NutriBullets have been sold, it’s still a household name, still the best-selling bullet-blender and still the AMAZING nutrition extractor that turns fruit, vegetables and nuts into nutritious drinks that taste great and are great for you. The 10-in-1 Maxi-Glider 360 is the new, uniquely designed fitness and weight loss system that works your body from every angle. 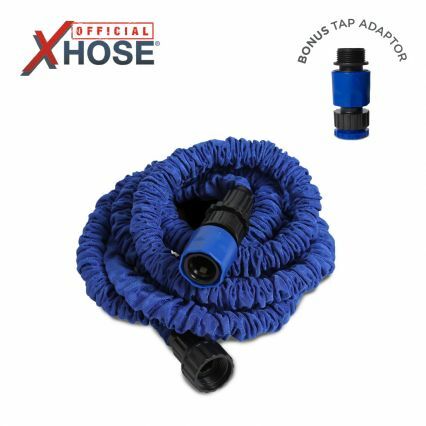 Our Bestselling XHose is the incredible, super-strong, ultra durable and ultra-lightweight expanding hose. It’s easy to store, features universal fittings, expands up to 3 times its original length and automatically contracts in seconds. 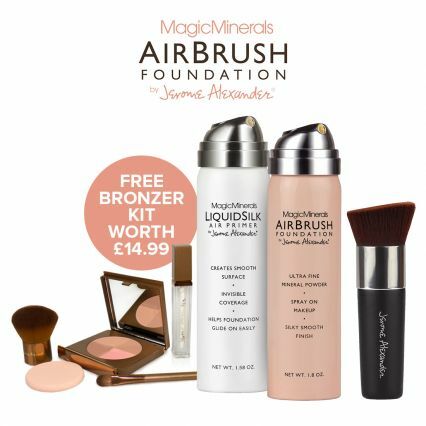 Bring airbrushed precision to your daily makeup routine and accomplish that flawless, natural look in seconds with the Magic Minerals AirBrush Foundation and Primer kit from Jerome Alexander. Shop our range of Garden & Outdoor products at Expert Verdict. With the weather getting warmer, now is the perfect time to ensure your garden and outdoor areas are looking clean and tidy, and our range of Garden & Outdoor products are sure to make sure that this can be done as quickly and smoothly as possible. These Dunlop safety boots look like ordinary wellies, but they have three important differences. Bergman’s electric hedge trimmer has a reach of over 3 metres, so you won’t need to risk your neck on a ladder. This 3-in-1 patio weeding tool is all you need to keep your decking, driveway and paving clean, without any stooping, bending or kneeling. This compact, square potato planter neatly slots into a corner of your patio or garden, yet provides plenty of room for compost, potatoes or other root crops such as carrots, beets and parsnips. These manger-style raised vegetable beds are elevated 80cm off the ground to minimise bending and stretching when growing your own veg and herbs and are also the perfect height for seated gardeners. This clever little paper pot maker is designed to make biodegradable seedling pots from strips of old newspaper. 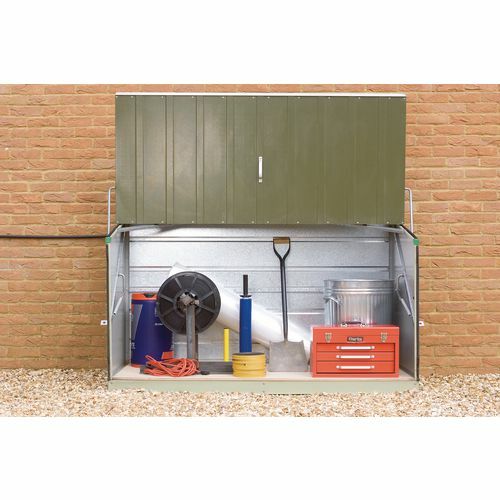 This instant expandable fence panel will screen off ugly wheelie bins, composters or vegetable patches. Define your borders and enhance your garden without calling in a bricklayer. This German-made terracotta-look plastic tomato planter is so much better than heavy, ugly growbags. 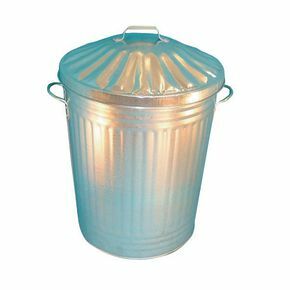 This smart wooden wheelie bin store keeps your bins easily accessible without creating an eyesore for yourself or your neighbours. Shop our range of Garden & Outdoor products at Scotts of Stow. With Summer just around the corner, now is the perfect time to ensure that your garden is ready to relax in the gorgeous weather. If you’ve ever tried to scrub out a wheelie bin, you’ll wish you’d owned one of these brilliant Bin Loofahs. The problem is reaching right to the bottom of the bin and scrubbing out the deep recesses without virtually having to get into the bin yourself! This stone-effect garden edging looks just like the real stuff but made of realistic polyresin, it weighs considerably less. Use it for creating a mini rockery, path edging, around flower borders or a pond for the perfect finishing touch. How to give a flowerbed, lawn or garden path a smart stone-effect border – without digging, cutting or preparation work. Stone and pebble borders look attractive – until they spill out and become a potential hazard to bare feet and lawnmower blades. But this size-graded, real pebble edging solves that problem as the attractive pebbles are fixed in place. 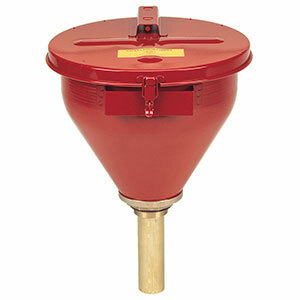 Help your composter break down kitchen and garden waste quickly and efficiently with this liquid accelerator. 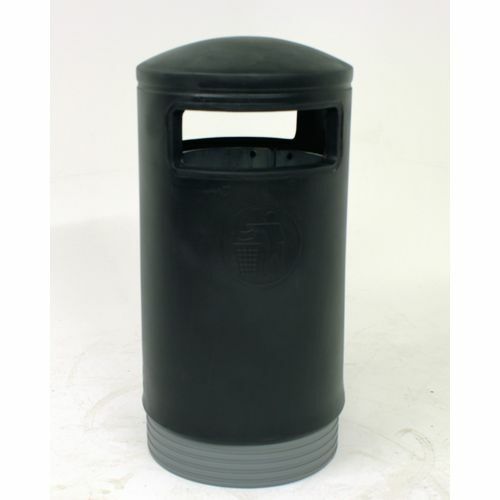 It’s great for use when your composter has lots of waste to deal with. Cut even the tallest hedge with your feet firmly on the ground. This telescopic hedge trimmer has a reach upto 3 metres, which means you can cut and trim branches and stems without having to get out your stepladders. This decorative yet practical instrument combines a quartz analogue clock with Celsius temperature display. Its slate-tile effect plastic frame is a perfect complement to outdoor landscaping. Create an instant path of natural pebble stepping-stones that won’t end up scattered all over your lawn. These beautiful stepping-stones are made of real river rocks that have been shined to a smooth polish by the water. This planter is pretty impressive on its own, but with wheels to roll it around and a built-in 7.6 litre water reservoir, it’s perfect. With the weather getting brighter, it's key to ensure you're still able to get the best nights sleep. At Bed & Bath Emporium we have a range of Blackout Blinds that are sure to block out any un-wanted light so you can continue to get a good nights sleep. Roman blinds are installed inside the window recess, but we advise that you fit these blinds outside the recess, or fixed to the window frame to maximise the benefits of blocking unwanted lights. Shop our Easter collection at Bloom. We have a range of gorgeous flowers and decorations perfect for brightening up your home this Easter, or for giving a truly lovely gift to your loved ones. You can also get free delivery on all orders over £60. Originally cultivated in the Ottoman Empire, ‘tulip’ comes from the Latin word for turban, ‘tulipa’; the flower’s petals resembling the exotic headdress. Classic, delicate and a symbol of the start of Spring. A collection of yellow and white Daffodils, 'growing' in artificial moss in a glass planter. Perfectly placed on a windowsill, our narcissus arrangement is a charming way to welcome the sunshine inside your home throughout the year. Bright, bubbling and full of hope, our mixed spring bouquet is a happy handful of glorious new season's colours. This delightful arrangement features warm and colourful shades of golden poppies, sunny daffodils and blushing foxgloves, skilfully juxtaposed against citrus green Boston ferns and deep-green trailing ivy. We've all heard of the goose that laid the golden egg. Well she's done it again, not once but six times! And here they are - half a dozen beautifully crafted ceramic eggs given a glossy, gleaming metallic finish. Few images symbolise the hope and optimism of spring better than a nestful of eggs. And this delightful little handmade version contains a tempting secret. Welcome in the arrival of spring with this delicate grape hyacinth wreath, displayed on a doorway, cupboard or wall. 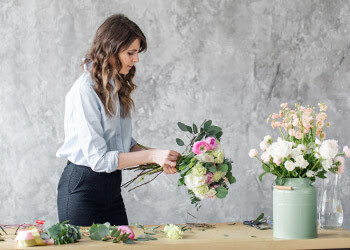 Evoking memories of summers long ago, this hand-picked selection includes beautifully recreated buttercups, scabius, perennial sweetpeas, salvia and blown seedheads. Pale, delicate and precious as Welsh gold, sunny days at this time of year are both an unexpected treat and a tantalising reminder that summer will return. The perfect pick-me-up, our gerbera arrangement is a pot full of happiness. So it's the ideal gift for anyone who's feeling unwell or just a bit under the weather. Encourage good hygiene habits with this no touch hand washing system. Rid your home of harmful viruses and allergens with one easy spray. Rid your home of harmful viruses and allergens with one easy wipe. Make disinfecting your home even easier. No wiping required, just spray and go. Keep your washing machine clean, for a cleaner load of laundry. Keep hands clean and healthy with Dettol handwash. This Easter we have a new voucher code available at Aurelia Skincare. Enjoy 25% off all orders* using code EASTER25, valid 18/04/2019 - 22/04/2019. Our award-winning, aromatic, creamy cleanser glides on to the skin, lifting off all impurities and make-up, leaving skin bright, clean and glowing. Our multi-award winning super-lightweight serum expertly harnesses Aurelia’s signature revolutionary probiotic ingredients to continuously protect, restore and balance the skin from within, promoting a youthful glow. This exquisite, scientifically-advanced hand cream helps to diminish the signs of pigmentation while deeply hydrating and nourishing the skin for brighter, softer, younger-looking hands and stronger nails. Experience the ultimate, multi award-winning 3-Step Probiotic Routine and start your journey with Aurelia Probiotic Skincare to truly transform your skin with The 3-Step Anthology. 20% off Old Country Roses Collection at Royal Albert. This set of four 20cm plates shows the wonderfully nostalgic Old Country Roses pattern at its best with a distinctive border of the pink, yellow and red roses intertwined with green foliage on translucent fine bone white china, edged in 22 carat gold. The perfect way to make any meal time memorable, inspired by an English cottage garden, this set is presented in a signature fuchsia pink Royal Albert box as a perfect gift or a treat for oneself as a stylish, timeless addition to the home. Unique Easter Gifts Available at Royal Doulton. Royal Doulton Bunnykins Nurseryware Classic 2-piece Infant set - Handmade and hand-decorated, each Bunnykins Classic 2-piece Infant set is as unique and special as the baby or toddler you're giving it to; right down to featuring a variety of adorable Bunnykins motifs; yours may not match the one illustrated. With the included bowl and spoon, you can feed baby every day of the week; both items are the perfect size for little hands and dishwasher and microwave-safe. 25% off Short Stories Collection at Waterford. Celebrate and host in style with the Short Stories Cluin Ice Bucket & Metal Scoop. Crafted from sparkling crystal with a dramatic square-cut design, this piece takes its inspiration from the famous book shelves of Marsh’s Library in City of Literature Dublin. A metal scoop is the finishing touch for this perfect housewarming gift, or as an eye-catching piece for your own home. The Short Stories Aras Decanter with Marble Base takes its inspiration from the stunning fields that dominate the Irish landscape. Vertical crystal cuts represent the castle’s turrets that features on the land for a stylish, beautiful design that will add opulence to any home. Striking crystal accentuated by a contemporary grey marbled base. Add beautiful crystal light to your home with the Lismore Short Stories Opulence Box with Marble Lid. A delicate pattern has been expertly crafted into crystal and shaped into a contemporary design for a modern style. A sleek, polished marble lid adds opulent drama to this perfect gift set. The Lismore Short Stories Diamond Candlestick Set with Marble Base (Set of 3) combines the iconic Lismore sparkling crystal with a gold trim for modern opulence. The expertly-crafted pieces feature the classic diamond cut in a contemporary square block, making them the perfect set to give a as gift or to style in your own home. Presented in a signature Waterford grey gift box. Add beautiful crystal light to your home with the Lismore Short Stories Opulence Candlestick (Set of 2). A delicate pattern has been expertly crafted into crystal and designed into a contemporary shape for a modern style. An opulent gold candle holder adds drama to this perfect gift set. Presented in a signature Waterford grey gift box. The Short Stories Ogham Love Double Old Fashioned Tumblers (Set of 2) are inspired by the earliest form of writing in Irish language; Ogham. Named after the God of Literature, this text was inscribed on stones or sticks and is read from the bottom up. This set of beautiful crystal tumblers features the original scripture symbol of love - Gra and the word ‘love’. A unique gift for somebody very special or for your own home, presented in a signature Waterford gift box. 20% off the stunning Jasper Conran Floral Collection at Wedgwood. The Jasper Conran Floral 3 piece set in fine bone china includes: one 23cm plate and one set of teacup & saucer. Dishwasher and microwave safe. Presented in a stylish gift box. The Jasper Conran Floral Charger 33cm in fine bone china is designed for everyday use, dishwasher and microwave safe. Presented in a beautiful gift box. The Jasper Conran Floral Teapot 1.2l in fine bone china is designed for everyday use, dishwasher and microwave safe. Presented in a stylish gift box. The Jasper Conran Floral Teacup in fine bone china is designed for everyday use, dishwasher and microwave safe. The Jasper Conran Floral Sugar & Cream set in fine bone china is designed for everyday use. Dishwasher and microwave safe. Presented in a stylish gift box. Great savings in the Ladies' Sale at Sock Shop. 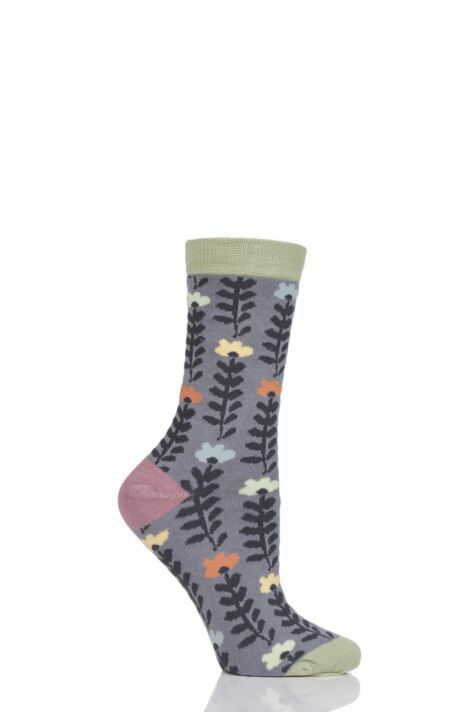 In a twin pack of textured styles, these Elle Floral and Fair Isle Patterned Knee High Socks are lovely-looking, with subtle damask-woven designs creating their single shade motifs. 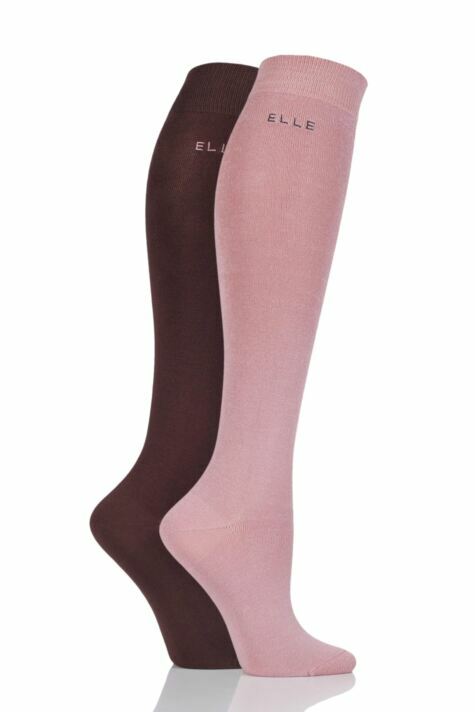 Both pairs of knee high socks are lightweight and fine, with an opaque weave for a dense, even leg colour. These 97% Pearl Cotton knee highs will keep your feet and legs encased in luxurious comfort. The Mercerised Cotton gives them extra strength and a gorgeous sheen finish, perfect for adding that touch of elegance to any outfit. 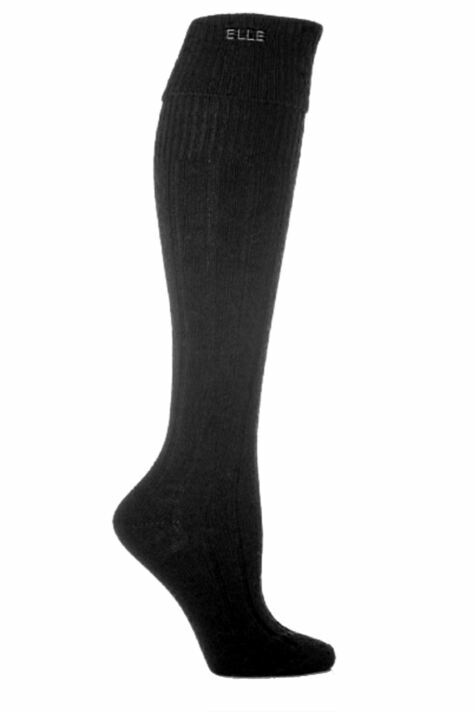 Sublimely soft, in a silky viscose/wool blend, for a luxurious and warm feel, these Elle Wool Ribbed Knee High Socks are just the things for colder weather, particularly if you favour higher leg boots, or even just enjoy the look of knee highs. 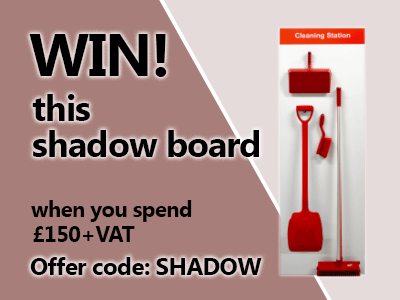 Win a Shadow Board When You Spend £150 +VAT at ESE Direct! Use Code - SHADOW at Checkout. 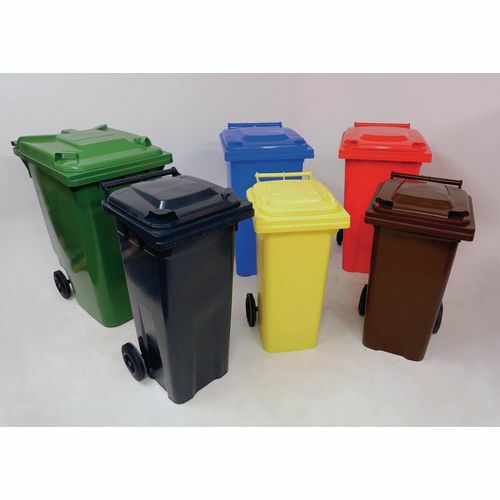 The additional storage capacity of jumbo roll containers make these ideal for transporting bulk items. Euro standard base 1200 x 800mm. Bright zinc electroplated finish wire framework and base. 100mm wide rod mesh sides. 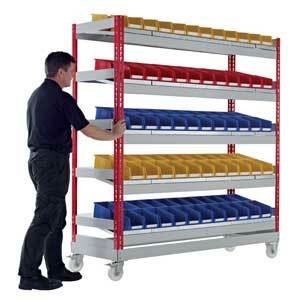 Use 3-sided with optional shelves for mobile storage applications. Shelves not included - Optional shelves available to purchase separately. 125mm nylon castors (2 fixed, 2 swivel). Reinforced design nestable 'A' frame. Four sided with 50 x 50mm mesh infill to sides. 19.A118 has a two piece stable door. 19.A117 has a single opening door. Fitted with two fixed and two swivel 125mm diameter nylon castors. New design with recessed bolts. Overall dimensions 1690H x 735W x 850D mm. Manufactured & approved to the European GS standard. These modular units can be placed alongside each other to create a large working area. Idea for use alongside machinery. Mild steel angle construction which is easily height adjustable by simply turning the threaded feet. 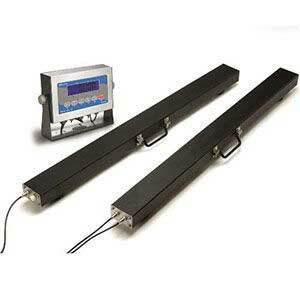 Highly portable heavy duty beam/pallet scales. Capacity of 2500kg or 5000kg. IP65 rated waterproof stainless steel enclosed indicator with LCD screen. Each beam weighs 16.5 kg and has 4 m/13’ of load cell cable and quick connectors. Ideal for various uses like weighing pallets, long loads, tanks, etc. About 48 hours of battery life. Geography auto-compensation for local gravity effects. 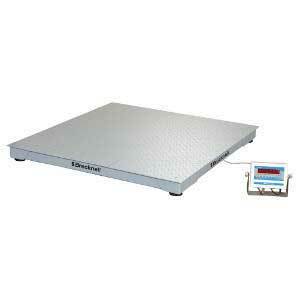 Scales are available in calibrated form if requested at time of order. Ideal for several functions like shipping, counting, totalizing and check weighing. 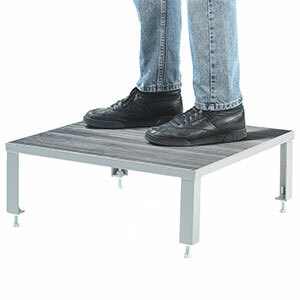 Mild steel platform with digital indicator. Weighing capacity of 2500kg in 0.5kg increments or 5000lbs in 1Ib increments. Four levelling feet with alloy steel potted load cells. 5mm thick safety tread 1.21m x 1.21m platform with heavy duty welded wide channel supports, 102–118mm high. IP65, NTEP certified at 5000 divisions, Class III. Digital indicator on stainless steel desk / wall stand with 4.6m of cable, 6 digit screen, on / off, total, count, kg / lbs, gross, tare & print functions. Cost effective solution for line and cell based manufacturing processes. Supplied with 5 sloping shelves allowing easy access to bin contents. Painted uprights available in 4 colours: Red (RAL3020), Blue (BS20E56), Dark Grey (BS18A14), Light Grey (RAL7035). Light Grey (RAL7035) beams and heavy duty galvatite sloping panels. 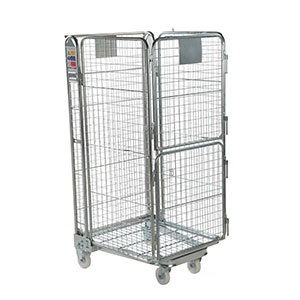 Mobile units are fitted with 4 braked wheels for smooth and easy movement of bays. View labels and weight restriction notices for racking. 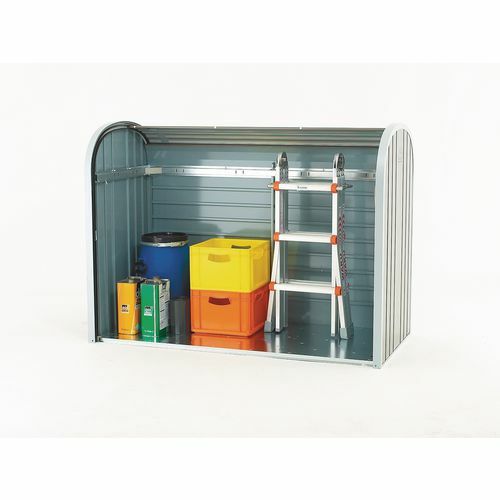 Plastic storage containers for these Just Kanban shelving bays are available to purchase. 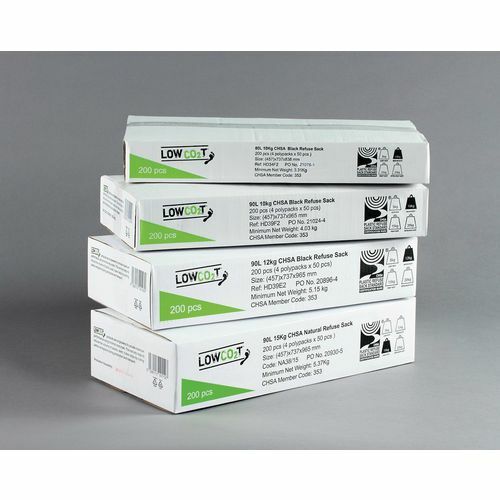 Edge System™ electrodes are only for use with Lifepak 1000 Semi Automatic Defibrillators. Edge System™ electrodes can be pre-connected to the defibrillator in order reduce the time taken to administer the shock. 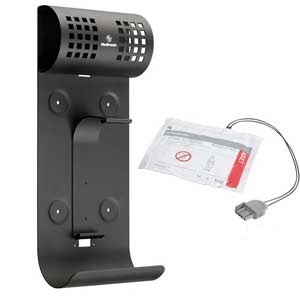 Also available are wall mounted brackets for either the Lifepak CR Plus or Lifepak 1000 Defibrillator. Handy wall bracket which allows the defibrillator to be clearly displayed. Wide mouth opening with hinged, stay open lid. Dimensions: 273mm diameter x 254mm high. Built in flame arrester to prevent fire intrusion. Ideal for use with solvents, thinners, oil and paint waste. Made from heavy 18-gauge galvanised steel. Epoxy powder coated to provide durability and chemical resistance. Help The Great British Spring Clean at Slingsby. 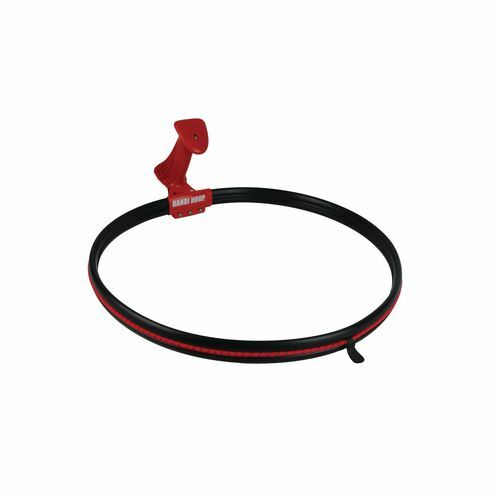 Handihoop keeps the bag open for more efficient working, even on windy days. Quick and easy to change over. Available with or without easy to hold handle. 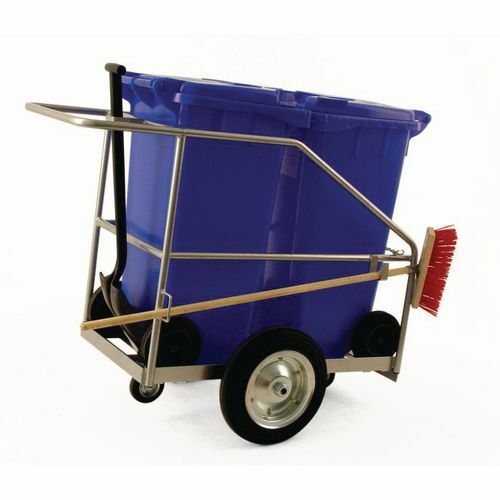 Easy to load and unload wheelie bins. 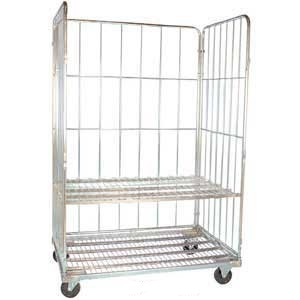 Tubular steel construction, powder coated silver finish. Mounted on two 400mm diameter solid rubber tyred roller bearing wheels and two 125mm dia. 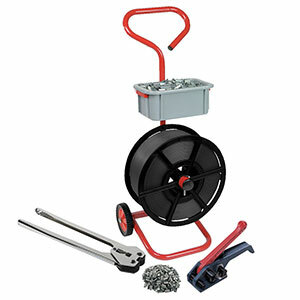 Rubber tyred swivel castors. Complete with wheelie bins, brush and shovel. H x W x D mm: 1000 x 1310 x 692. 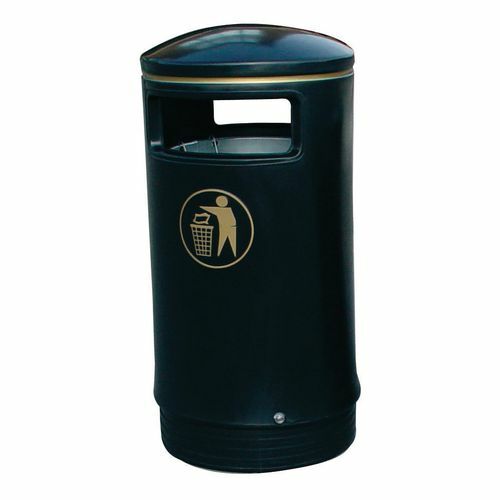 Bin capacity 2 x 120 litre. 20 year guarantee: hot-dipped galvanised polyester coated steel sheet. Easy handling of the roller shutters. Cylinder lock fastening with a spare key. Security enhanced by the double-sided fastening of the front roller shutters and the twist-handle cylinder lock. Manufactured from fire resistant PVC coated galvanised steel. Requires no maintenance and guaranteed against corrosion for 15 years. Features a unique spring assisted opening action. Includes two padlock points for security. Colour: light green side panels/olive green door. Plywood base is an optional extra available on request. 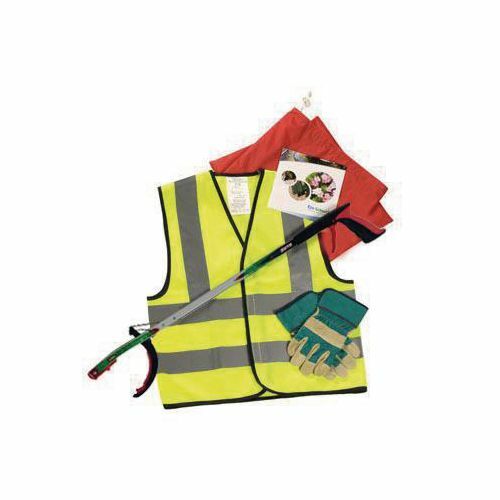 Kit consists of a 27" child size litter picker, child size rigger gloves and high visibility vest. We have a new voucher code available at Serenata Flowers. Get 10% off all orders + free delivery with code uyPPlk234. Offer expires 30/04/2019. There is always that first morning when you can feel the season shifting in the air; this bouquet encapsulates that moment and celebrates it. The beautiful white roses, stylish carnations, enticing alstroemeria and striking eryngium will warm anyone up on a chilly morning. Wonderfully bright yellow Roses and scented blue Freesias make a fabulously bright bouquet that will cheer and room as well as make it smell divine! New voucher codes are available at Snapfish offering 5p prints and 40% off home Decor and Gifts. These offers end on 21/04/19.